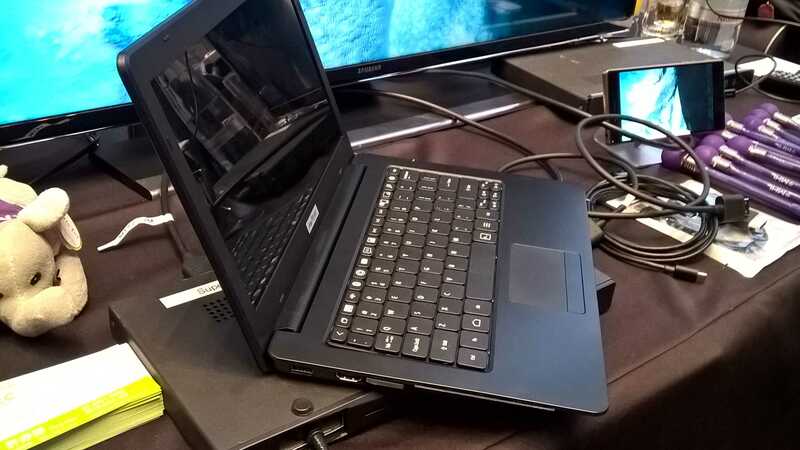 This thin-client approach has been seen before but unlike the Atrix, Folio and other attempts this one is OS agnostic and, in the case of Windows 10, has a cross-screen developer ecosystem behind it that’s like nothing we’ve seen before. 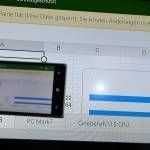 If developers see potential in a targeted 1 billion Windows 10 UWP devices in three years then they’ll begin to create interesting applications for Windows 10 Mobile that drive growth. It’s the chicken-and-egg situation solved. 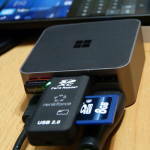 It can also work cross-OS which makes it extremely interesting as a universal accessory for Android smartphones. 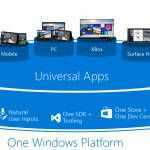 Any forward-thinking developer that’s used Continuum features to allow their Windows 10 Universal Application to scale across different screen sizes is going to benefit from a huge range of potential customers and when customers can connect that app to low-cost productivity devices there’s even more potential, especially in developing countries. I saw a prototype based on a barebones laptop at IFA and heard that OEMs are already working on products. Expect to see a showcase of Continuum when the first Windows 10 Lumia smartphone launches. Please take a look at the video below where you’ll see the barebones laptop. Then, underneath that you’ll find a video from our good friend Charbax which shows the Amtran laptop dock in use with Android in July 2014. Take note about the comments on MHL 3.0 which enables touch, webcams and other devices to work over the cable. The presenter thinks you’re be able to get a phone + laptop package for $350. MHL told me that $80 would be achievable on the laptop alone. I love this concept, even though it is not exactly new (See AT&T Laptop Dock for Motorola ATRIX 4G). That said, I have a suggestion for the designers. Allow the touch capabilities on the smartphone to remain on so that the phone can be used a touchpad/mouse when attached to this laptop dock. That’s great that the functionality is already there. Ideally I would like both, a built in touchpad in the “accessory” to use when talking on the phone, and the ability to use the phone as a touchpad which is more ergonomic. Sounds like something Apple will do when they finally invent Continuum in 2017. What’s crazy is that Google seemed to be heading in that exact direction with Android 3.x. But then there seemed to be a internal power struggle between the Android camp and the ChromeOS camp, and the latter won. This in turn led to Android regressing back to a mere phone OS, while ChromeOS was sucking away all the momentum. There is however some indication that Android may well be getting some momentum again, given that people found a app/window tiling system in the latest preview releases. This would have been nice, if the UMPC was still alive. A OQO style device with QuadCore Atom, 4 GB RAM and 128 GB SSD would be a very very nice device, with this – unfortunatly this doesn’t seem to happen. The real struggle is that it would be affordable if it was made today (it would be specs similar to a high-end smartphone). But seems like i have to settle, and wait for my F-07C to get a proper modded windows 10 graphics driver – sooner or later. This definitely hints at the plans for UWP in the ultra-mobile cloudbook sector. But I think rather than have a barebones laptop driven by a mobile phone, Microsoft could have W10M on the device itself. 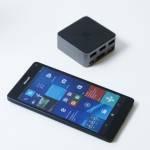 If Microsoft perfects the performance of Windows 10 Mobile on the big-screen, they could release low-power, lightweight cloudbooks based solely on the W10 Mobile platform enriched with the UWP ecosystem. This would put them in perfect competition with the growing marketshare of Chromebooks and would tackle at least a couple of problems Windows faces in the ultra-mobile space – security and performance. Chromebooks are preferred by business and education use for their security, but so is Windows 10 Mobile. Plus, as of yet, low-cost netbooks are ineffective at providing good, reliable performance due to the constraints of limited RAM and processing power on full-blown Windows 10. 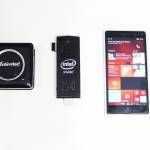 If they can scale Windows 10 Mobile up effectively, they could provide a viable alternative to ChromeOS that can draw people away from Google’s ecosystem. 1) Businesses are still reliant on the Microsoft range of products and W10M cloudbooks would be compatible with that (except for win32 apps). 2) With Project Islandwood and Astoria, Microsoft could potentially have a rich Microsoft Store that beats ChromeOS’ limited selection of Chrome apps. Microsoft could release low-cost ARM cloudbooks that can compete with the sort of performance ChromeOS has, while winning the game with better apps and an ecosystem that isn’t tied-down to the cloud. I’m calling it now, and I hope I’m right. I think this could be Microsoft’s winning strategy to beat Google to the low-cost, education, and ultra-mobile business markets. 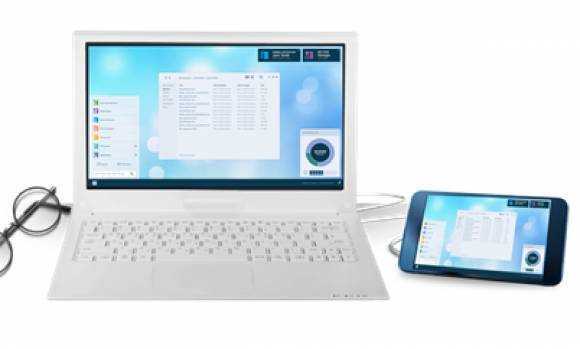 This would also beat Google and Apple’s problems of fragmentation between OSX and iOS, and ChromeOS and Android, because you could work seamlessly from your cloudbook, phone and desktop, with the same apps and services. I’ve considered the W10 mobile smartbook before and I agree it’s possible. For the time being there’s a theoretical limit on W10 Mobile at 7-inches but if low-cost 10-inch sales aren’t as good as expected that could be taken away. I’m certain we’ll see experimentation in this area if the developers come to the UWP and create good apps. Let’s just see whether Islandwood and Astoria prove to be as successful as Microsoft does. Although even without a rich 3rd party scene you’d still have a satisfactory productivity tool with Microsoft’s own Universal Apps. That theoretical limit was placed the by Microsoft it can be removed. 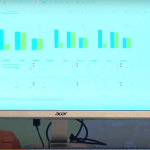 « Acer Aspire Switch 11V hands-on, video.